Just what have the tornado patterns of the past 30 years looked like? Just what have the tornado patterns of the past 30 years looked like? 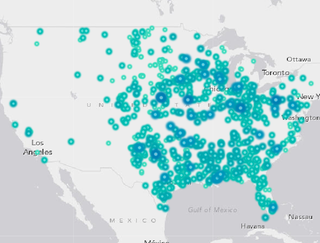 An interactive map, over at Smithsonian answers that question, by showing the patterns and strength of how tornadoes have struck for every year since 1980.